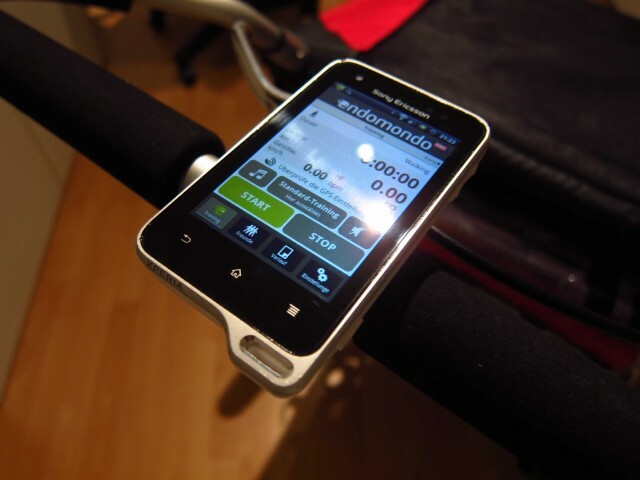 Since August 2010, I use a Garmin Edge 500 cycling computer on my triathlon bike, my mountain bike and in a couple of weeks also on our Chariot Cougar Child Carrier while running. 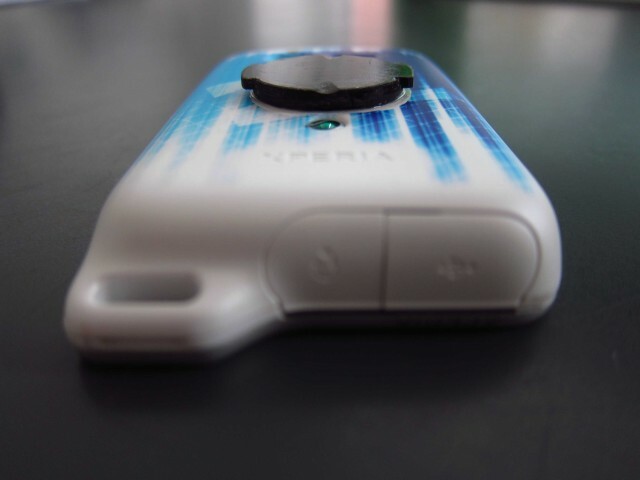 November 2011, I bought a Sony Xperia active smart phone since it basically can do everything that my Garmin does: It is ANT+ compatible, features an integrated GPS receiver and even includes a barometer. There are plenty of sport apps available for Android which can be used for running, cycling and plenty of other activities. 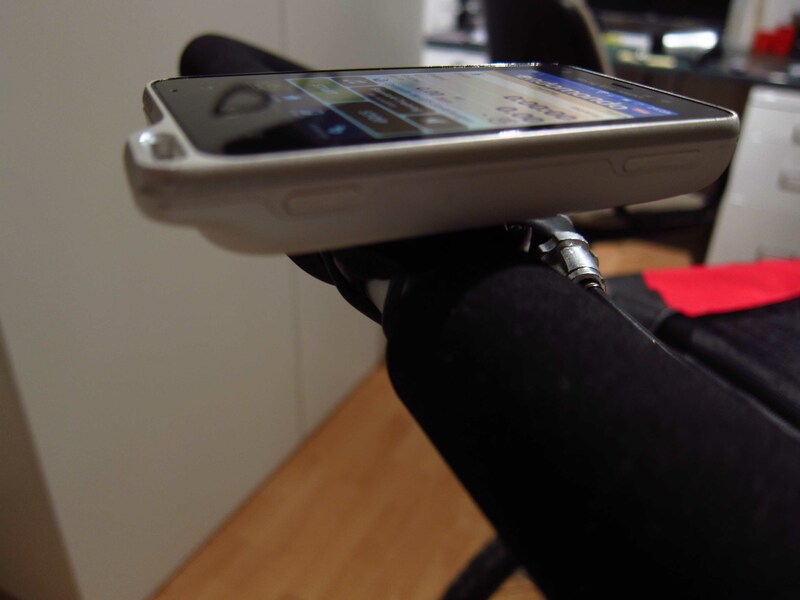 Because the Xperia active can be paired to all the existing Garmin ANT+ sensors on my bikes, I thought that it might be a good idea if it could also “pair” to my existing Garmin bike mounts. With this blog, I would like to show you how I achieved just that. 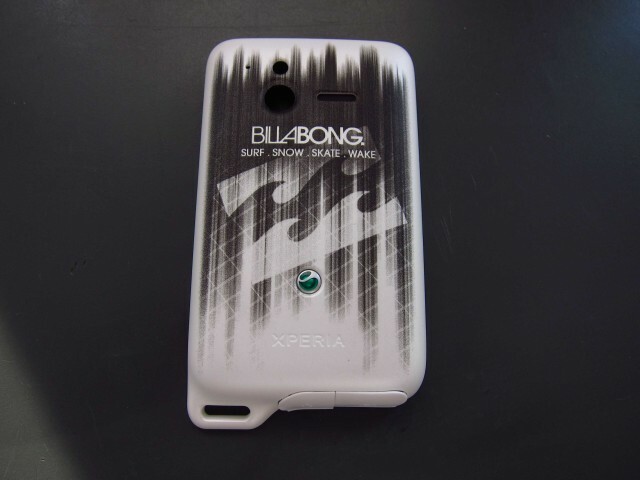 First of all you’ll need an extra cover for the Xperia active. I bought the Billabong edition which included two extra covers. After that, I measured the dimensions of the Garmin Bike mount. I figured that I would need two plastic discs to replicate the Garmin mount. The first one should have a diameter of 25mm and a thickness of 1.45mm. The second one should also have a diameter of 25mm, but with two extensions of 1.25mm lenght and 10mm width. 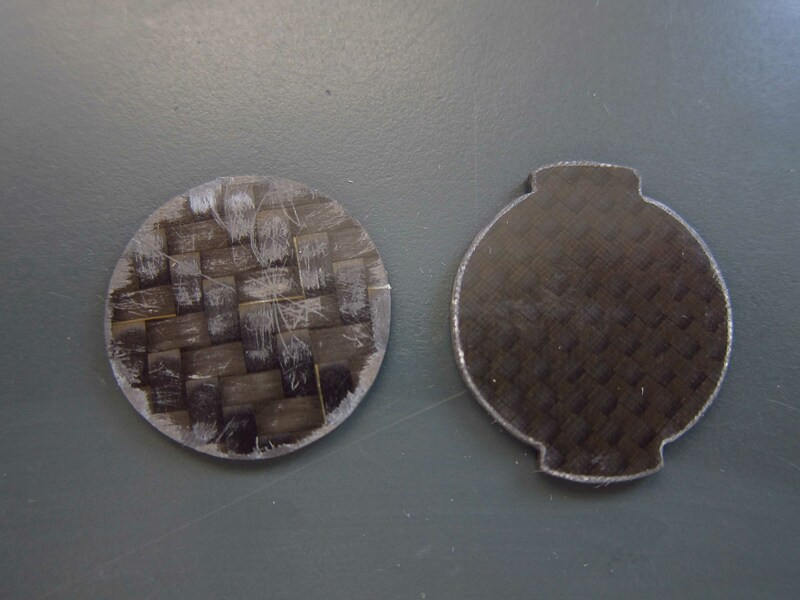 The thickness of the second disc should be 1.75mm. 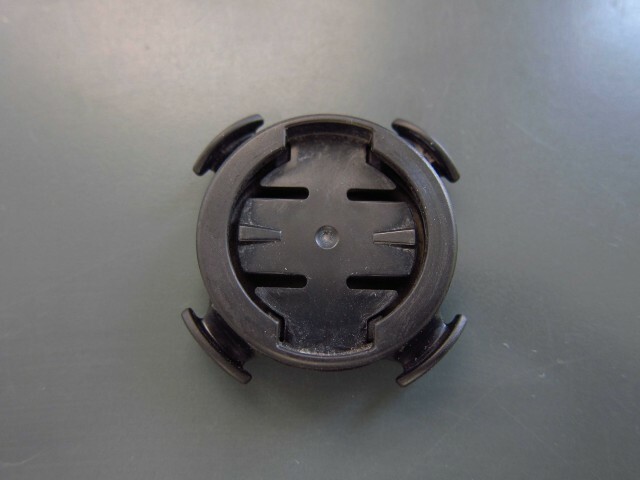 I chose carbon fiber as the material, but any other plastic should be fine as well. 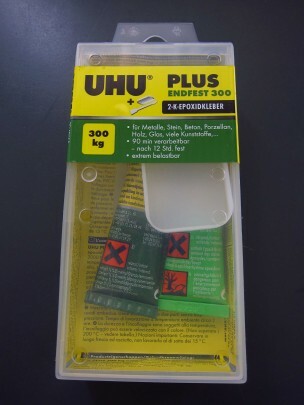 Now I needed to glue the two discs on the cover – I chose UHU plus to do so. Essentially, UHU plus is a 2K epoxid glue which can be cured at 70°C in 45 minutes. During my first attempt to glue the carbon discs onto the cover, I took a clamp and fixed it to my desk. 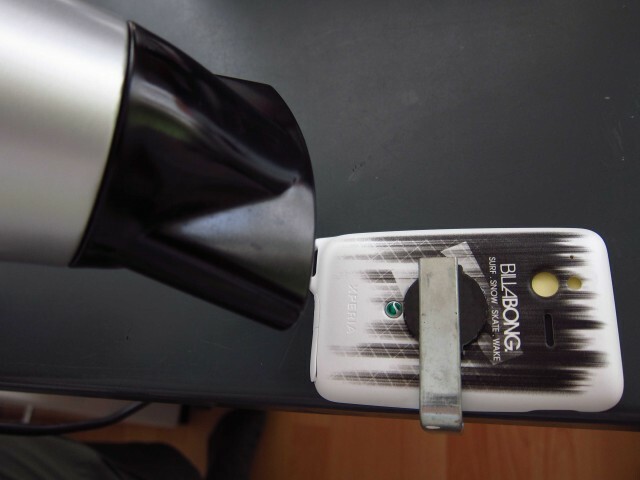 Afterwards, I used a hair dryer to speed up the curing process. 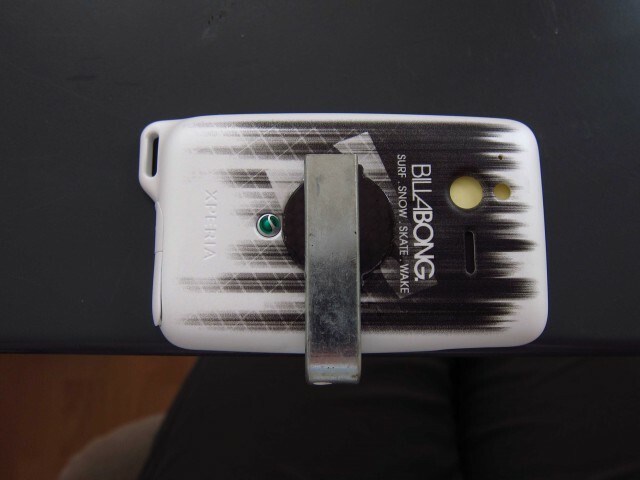 While performing a static load test, I had to realize that before gluing, I should have removed the Billabong graphics on the cover because this was the breaking point. So I took the second cover, scratched of the graphics and glued the carbon discs for the second time. To ensure a proper curing process, I put it into our oven at 70°C for 45 minutes. This time, the result was better withstood the static load test. Sony Xperia active – mounted to our Chariot Cougar using a standard Garmin bike mount. Nice! 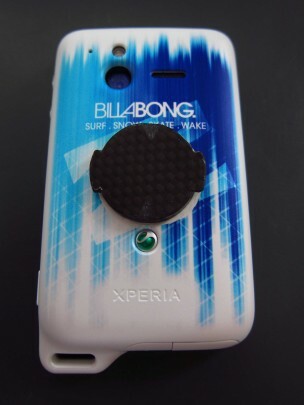 Of course I am going to start the Xperia active during cycling from now on. 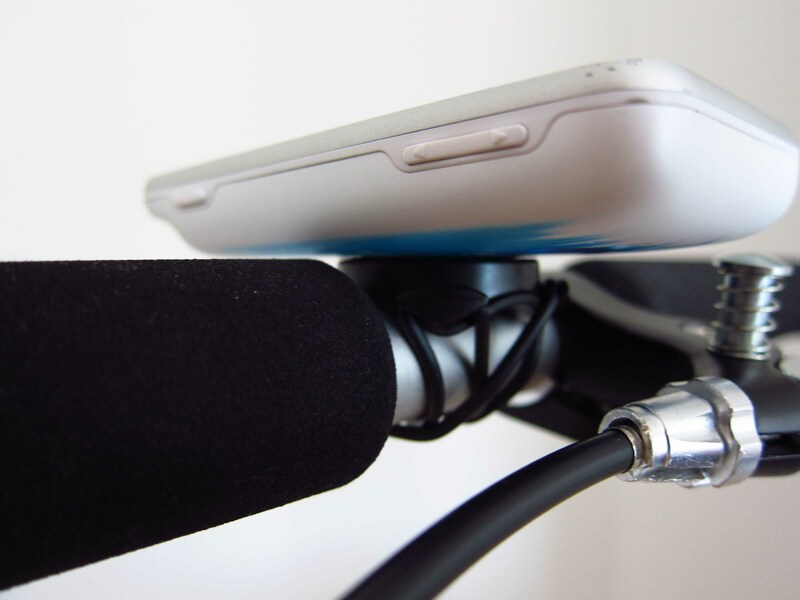 I will report about the long term reliabilty of this bike mount.